In the meantime, continue to browse the AirClima website. On this page you can find some interesting ideas. Since 1985 AirClima has installed air conditioning systems. At your service on Milan and its province. AirClima mainly installs Mitsubishi Electric air conditioners. AirClima technicians design the air conditioning system that best suits your needs. 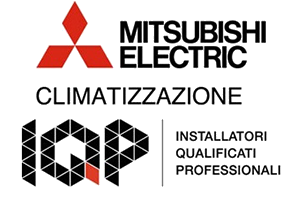 The professionalism of qualified Mitsubishi Electric Partner installers to advise and follow you. Get a free inspection or book an appointment in our showroom in Milan. One of our technicians will recommend the best solution for your air conditioning system. Book Now!